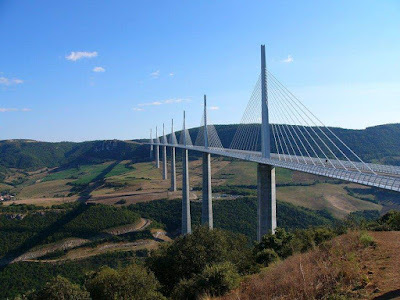 Designed by the structural engineer Michel Virlogeux and British architect Norman Foster, the Millau Viaduct (French: le Viaduc de Millau) is a large cable-stayed road-bridge that spans the valley of the River Tarn near Millau in southern France. 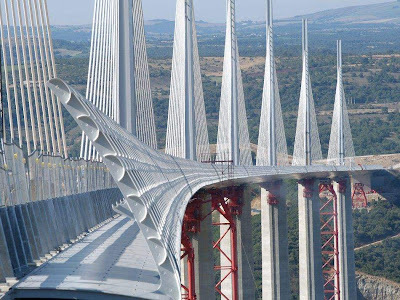 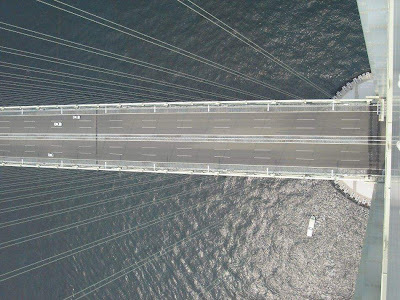 It is the tallest vehicular bridge in the world, with one mast's summit at 343 metres (1,125 ft) — slightly taller than the Eiffel Tower and only 38 m (125 ft) shorter than the Empire State Building. 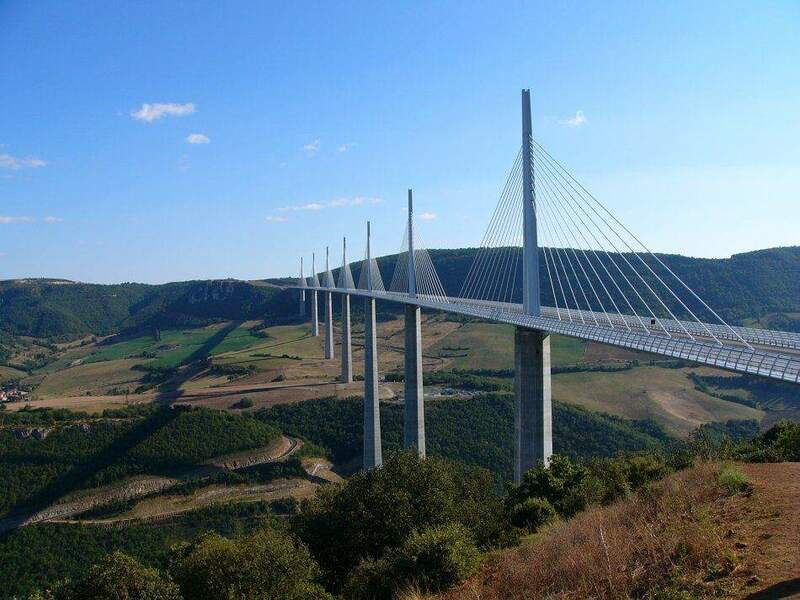 The viaduct is part of the A75-A71 autoroute axis from Paris to Béziers. 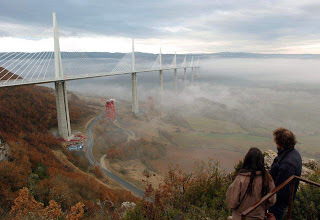 It was formally dedicated on 14 December 2004, it was inaugurated the day after and opened to traffic two days later. 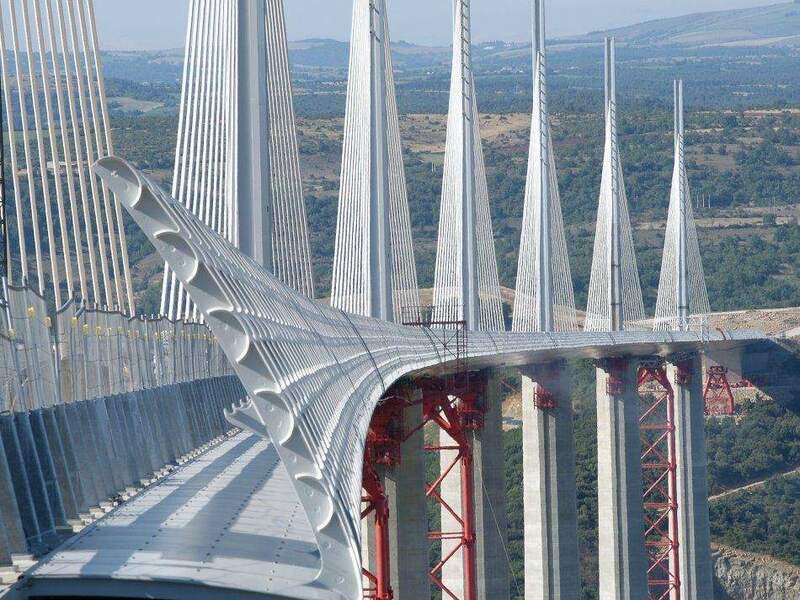 The highest pylons in the world: pylons P2 and P3, 244.96 metres (803 ft 8 in) and 221.05 metres (725 ft 3 in) in height respectively, broke the French record previously held by the Tulle and Verrières Viaducts (141 m/460 ft), and the world record previously held by the Kochertal Viaduct (Germany), which is 181 metres (590 ft) at its highest; The highest mast in the world: the mast atop pylon P2 peaks at 343 metres (1,130 ft). The highest road bridge deck in the world, 270 m (890 ft) above the Tarn River at its highest point. It is nearly twice as tall as the previous tallest vehicular bridge in Europe, the Europabrücke in Austria. 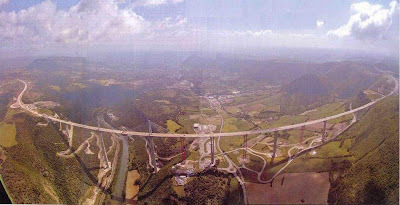 It is slightly higher than the New River Gorge Bridge in West Virginia in the United States, which is 267 m (880 ft) above the New River. 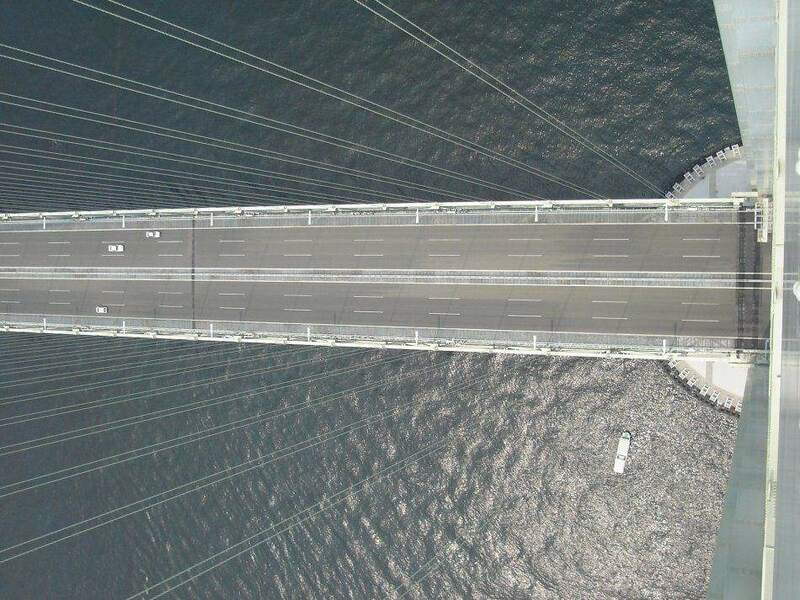 Only the bridge deck of the Royal Gorge Bridge in Colorado, United States (mainly a pedestrian bridge over the Arkansas River, occasionally also used by motor vehicles) is higher with 321 m (1,050 ft), and is considered the highest bridge in the world.